As you read Psalm 104 did another book come to mind? What about the first five chapters of Genesis? Now, if you are like me and have been wondering, “why did we go from 2 Samuel to Chronicles?” today’s reading helps frame the reason. And it can be a bit confusing at first – at least it was to me. For as we read through 1 Chronicles 9 we see a quick but short shift in chronology. In 1 Chronicles 9:1-34 the author (most scholars attribute the book to Ezra) reaches into the future and describes the return of the nation from Babylonian captivity. Then in 9:35-44 we have listed the genealogy of Saul & a return to the time-line we were reading & will return to in 2 Samuel. So, what we have read is the genealogies of the Nation from Adam and through the genealogies of Israel. It continues through all the 12 tribes of Israel, then King David, and then the Priestly line. The descendants teach the history of the nation, extending from God’s creation all the way through the exile in Babylon. Now — we will return to the history of David. And, yet, as the Psalmist pens — the Lord is even mightier!! As with the preceding chapters we see the history of families. Chapter 6 provides the lineage of the family of Levi the name “Levi”, means joined. Not coincidentally, more detail is provided for this family as proof of being descended from Levi was a requirement to be in the service of the Lord. My reflections on the actual Psalm are shown below. 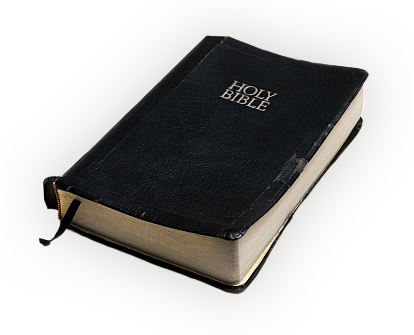 But I believe that it is always important to look at the earthly authors of the scripture we read. As you note, these Psalms are attributed to “Asaph.” So, who is Asaph? Interestingly, as we will read tomorrow in 1 Chronicles 6:31-32 there were a number of Levites that King David assigned as worship leaders in the tabernacle choir. Verse 39 tells us that Asaph was one of these men. Per 2 Chronicles 29:30 Asaph and David were skilled singers and poets. Asaph is also mentioned as a “seer” or prophet. The history contained in I and II Chronicles spans a period from Adam all the way down to around 500 B.C. It is therefore obvious that the author (perhaps Ezra) intended to recap Jewish history in one book for the sake of the exiles returning to Israel in the sixth and fifth centuries B.C. When they returned back to their land after their forced retention in Babylon, they needed to know as much as possible about their roots. It appears that Chronicles (originally just one book) was written to that end. The first nine chapters of I Chronicles give a recap of genealogies. The presentation here is not dramatic or entertaining, but rather provides a concise record of Israel’s history for the exiles. In the KJV, there are some spelling differences between here and other books of the Bible where certain of the names are referenced. So, who are the “Sons of Korah?” Well, back in Numbers 3 we see the Lord through Moses set aside the Levites to serve the temple. Levi had three sons, Gershon, Merari, and Kohath. Ultimately, Kohath had a grandson — Korah. Now, like many who have read these chapters I had wondered why even read them — it is just a listing of names that mean nothing to us now? Then I was blessed to lead a study entitled “Genesis Genealogies.” This study helped show that the listing of Biblical families is ripe with history and the fulfillment of God’s will. These Psalms reaffirm my thought from yesterday that the major difference between David and Saul was David’s passion to communicate with the Lord. In Psalm 6, & 16 we see David’s pleas to the lord for mercy and deliverance. And in Chapter 21 David recognizes the source of his strength and, again, praises and exalts God. If the text of 1 and 2 Kings does not demonstrate that David was “after God’s own heart” the poetry of Psalm certainly does! What do we see that differs David from Saul — David inquired of the Lord vs. Saul who made his decisions often on his own. Coffman writes: Several theories of why this group of psalms is so named are available. The Jewish explanation is that there were fifteen steps from the Court of the Women to the Court of the Men in the Temple, and that each of these psalms was sung in succession on those steps. Another view is that these songs were sung in successive phases of the Jews’ return from captivity. Apparently the true explanation is that these psalms were written for the pilgrims journeying to Jerusalem for the great annual feasts, Passover, Pentecost and Tabernacles. “It seems most probable that these songs form a collection for the use of pilgrims who came up to Jerusalem at the great feasts. And as you read these Psalms can you not envision and even hear the sounds of praise being raised by these travelers? I denote these verses because they clearly demonstrate the depth of Saul’s fall from God, and how it has affected his mind. Once Saul rejected the truth, he was sure to fall from God’s will. And the need for a new king, a king after God’s own heart, was essential. Once again we see these Psalms written during the time David was being pursued. In these I denote a recurring pattern. After praising the Lord David then does not hesitate to make his requests to God, keeping in mind that it is God’s will that is the most important. From Psalm 35:22-24 Lord, you have seen this; do not be silent. I find it interesting that each of these elements is present for us in the “Model Pray” as recorded in Matt 6:9-13. Chapter 27 contains an episode in the life of David that seems to foreshadow another much more familiar relationship in his life — Bathsheba and Uriah. Of course 1 Samuel 27:8-10 tells us that David was not attacking the nation of Israel — he was, instead attacking Israel’s enemies. But in order to cover his deliberate lies to Achish David slaughtered innocent men and women so they could not report to Achish who their attacker had really been. Does this not sound like his murder of Uriah to over his adultery with Bathsheba? In both of these events we will see David suffer for his sins. Was he a man after Gods heart — definitely. But did he have sins that needed forgiving? Of course the answer is the same as the answer for each of us — yes. As we read these chapters I hope you were able to keep them in context, knowing from 1 Samuel what David was enduring when these Psalms were written — his being pursued by Saul, a man who David fears and, yet, respects as chosen by God. I do not doubt that at these times David may have been a bit depressed (his spirit growing faint.) However, we see that he did not allow his disappointments to hinder his relationship with God. In fact his disappointments seemed to cause him to call upon God even more. Now, realizing what David was encountering in the last 4 chapters of 1 Samuel (chapters 21-24) can you not but better relate to his pleas and praise in these Psalms? All four contain references to Saul’s pursuit and David’s dilemma. But these passages really drew my attention. 1 Samuel 22:5 But the prophet Gad said to David, “Do not stay in the stronghold. Go into the land of Judah.” So David left and went to the forest of Hereth. First, I hope you are enjoying the way the readings place the Psalms closely with the events in David’s life. I enjoy “perspective” and this method helps me greatly. David is certainly blessed in multiple ways by the Lord but what struck me today is the gift he received of his friendship with Jonathan. We should all be blessed to have at least one friend like Jonathan and we should praise God for placing that person in our lives. The friendship of David and Jonathan never faded, even when David was challenged and pursued by Saul. The questions sent me to several commentators and I think the most appropriate is found on the “Bible Answers” website, administered by preacher Doug Batchelor. In this case I think we need to look back a verse and then to the book of Job. In Chapter 16:13 see that the “Spirit of the Lord came upon David.” When the verses are taken together we see that the “Spirit of the Lord” (the Holy Spirit) left Saul and entered David. First, the evil spirit was “from” the Lord in that it was allowed by God to harass Saul. Ultimately, all created things are under God’s control. It is likely that this evil spirit was part of God’s judgment upon Saul for his disobedience. Saul had directly disobeyed God. Therefore, God removed His Spirit from Saul and allowed an evil spirit to torment him. Likely, Satan and the demons had always wanted to attack Saul; God was now simply giving them permission to do so. Just in yesterday’s reading today I see another similarity in the lives of Moses and Saul. Exodus 21: 11-12 states: 11Then Moses lifted up his hand and struck the rock twice with his rod; and water came forth abundantly, and the congregation and their beasts drank. 12But the LORD said to Moses and Aaron, “Because you have not believed Me, to treat Me as holy in the sight of the sons of Israel, therefore you shall not bring this assembly into the land which I have given them. In Saul’s life 1 Samuel 13:12-13 tells us: 12 I thought, ‘Now the Philistines will come down against me at Gilgal, and I have not sought the Lord’s favor.’ So I felt compelled to offer the burnt offering.” 13 “You have done a foolish thing,” Samuel said. “You have not kept the command the Lord your God gave you; if you had, he would have established your kingdom over Israel for all time. 14 But now your kingdom will not endure; the Lord has sought out a man after his own heart and appointed him ruler of his people, because you have not kept the Lord’s command. Do you see the similarity? Moses took matters into his own hands. Here we see Saul do the same and disregard Samuel’s instructions in Chapter 10:8 to You shall wait seven days until I come to you and show you what you should do. And we are aware of the consequences — Moses did not enter the promised land and Saul’s kingdom did not endure. I fact in v. 14 we see the foreshadowing of David’s kingdom. Our message — our actions also have consequences. It is our decisions to make.